A restaurant is all about tasty scrumptious food and an ultra-charging ambiance along with exceptional customer service. Keeping the customer satisfied is not child’s play. Every employee of the restaurant has to work collectively with one single goal of providing an excellent experience for their customers. In such a business where customers are impacting the performance and rating of the business on a daily basis, it is very important for the business itself to take proactive measures and monitor their own deliveries. It is vital for a restaurant to monitor the feedback of their customers and their performance level on a daily basis to rectify all of the loopholes in their performance. Here are few practices that can help you in monitoring and analyzing the daily performance of any restaurant business. 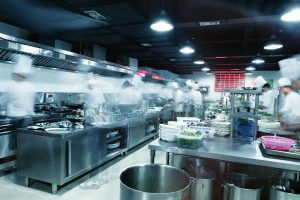 How Can you Monitor the Daily Performance of your Restaurant? The best way to understand the food quality, ambiance, and customer service provided is to ask the customers for their feedback. A customer’s feedback is the best way to gain the insight of your target market and judge your performance accordingly. This feedback can be generated in the form of online ratings, manual feedback forms, or even the ratio of customer complaints. Getting customer feedback will help you in gaining insight on what your restaurant is lacking as well as what attracts customers to your place of business. Acknowledging their feedback will enhance the relationship of the customer with the restaurant and will result in more customer retention. Was the food worth the price? By getting customer insight on an online portal, the restaurant can even set up a daily based customer average rating. Encourage your customers to visit the numerous social media sites that are available to rate your restaurant or use the “check in” feature. Forecasting sales will give you an average target for each day and, therefore, the restaurant can easily witness the decline or increase in their sales with respect to their set benchmarks. Bookkeeping is a crucial process in any business. Recording your sales, expenses, and other future expected gains and losses will give you an exact picture of your current standings. Setting long-term goals are very important in any business. This keeps all employees on the same page. Every employee, including the restaurant manager, chef, customer service representative, or wait staff is working with a single goal in mind to achieve the company’s target. These long term goals even aid in designing the daily goals for monitoring the performance of the business on a daily basis. How are these Goals Measured? Break Even Point: A break even point is the actual sales figure where your cost of production equals the revenue. It is important for a business to hit this point to gain profits. Employee Turnover Rate: The employee turnover rate is another point where restaurants can judge how well their employees are satisfied with their jobs and how much cost they have to spend on hiring and training new employees. Calculating variances to looking into the difference between the actual prices and the budgeted prices. Your long-term goals can be further divided into short-term goals, which can be monitored and measured on a daily basis.